SUMMARY: DIY super fund trustees get political, forming their own party to take their interests to Canberra. Self-managed super fund trustees are feeling pretty peeved. Picked on and pilloried by politicians, many feel it’s time to rise up and stick up for themselves. They’ve been under attack, from every side, for years. From reductions in contribution limits, to being specifically targeted over franking credits, to the $1.6 million transfer balance cap, to so much more. There’s been no sympathy. Nobody sticking up for them in the Big House. Why? Because they tend to be wealthier. And raising taxes on wealthy SMSF owners, which most of the changes have been, is easy politics that you don’t even need to make apologies for. But, eventually, if you beat up on a group of people for long enough, they’ll either get unionised, or politicised. 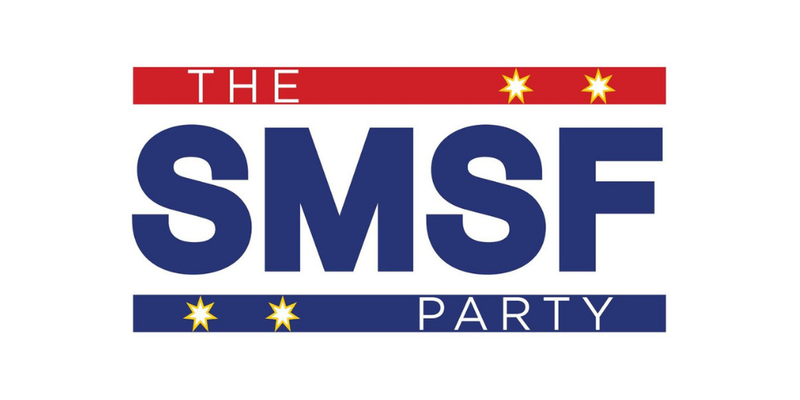 Australia’s newest political political party has been formed, with the aim of being a voice in the Federal Parliament for SMSF trustees and self-funded retirees. The party got the requisite 500 members to be able to go to the Australian Electoral Commission to register “The SMSF Party” a few weeks ago. Since then, it has topped 2500 members. The aim behind it is to fight a number of immediate threats to the financial interests of SMSFs, with the changes to refundable franking credits topping the hit list of items to tackle. The man behind the push will be well known to many in the SMSF industry. Grant Abbott, one of Australia’s pre-eminent SMSF lawyers and highly-regarded SMSF strategists, is heading things up. The SMSF Party expects to be fully registered with the AEC within weeks. It will be aiming to field two Senate candidates in each state in the next federal election, expected to be held in May this year. Financial donations are already flowing in. It already has a powerful supporter base. And an even bigger, potentially awesomely influential voter base. There are more than 1.1 million SMSF trustees, controlling over $725 billion in assets in their funds. But that is just the tip of the iceberg of those same members’ wealth. Abbott has been associated with the SMSF industry since its very early days (even since its inception). In the last 20 years, he’s run more than 1500 seminars, mostly on cutting edge strategies for SMSFs. He says he has “never seen such a disastrous set of policies” coming from both sides of politics as is currently in the political marketplace, which has led to this uprising of people interested in the success of SMSFs and self-funded retirees, which include not just SMSF members and trustees, but the industries that assist them, such as lawyers, accountants and financial advisers. Probably the straw that broke the camel’s back – with regard to his idea to start a political party and those who have flocked to join it – has been Labor’s plan to ban the refunding of excess imputation credits, a move Labor has openly stated is specifically aimed at SMSFs and even more directly at SMSF pension funds. Abbott is also quick to point out that while the party’s name is the SMSF Party, the issues that it intends to take to Canberra is probably better captured by the broader interests of “self-funded retirees”. “It’s about self-funded retirees. And it doesn’t matter if they’re actual retirees or aspirational self-funded retirees. I think one of the big groups that is missing out is Baby Boomers … there are a million Baby Boomers who are sitting on businesses who are looking to retire and sell them over the next five to ten years. That’s their retirement nest egg and they need to be helped as well. Self-funded retirees will largely also own SMSFs, though not all. The party’s policies will be broadly financial or economic, with a bent towards those who have actively planned financially for their retirement. Refundable franking credits. Labor’s policy to ban the refund of excess franking credits to those on lower tax thresholds, such as pension funds. The reduction in contribution limits. This is mostly about falling concessional contribution limits, which went from $107,000 many years ago, to $100,000, to $50,000, to $25,000, up to $35,000 (for some), then back down to $25,000. The negative gearing changes being planned by Labor, which would see negative gearing limited to only development/new properties from a point in time after Labor is elected. Getting the Federal Government to develop an infrastructure bond market, where super funds could help fund big Australian developments, but receive a reasonable, bond-like, return. What’s upsetting people the most? “Oh, easily, it’s the refundable imputation credits … At the end of the day, the franking system, or the imputation system … because SMSFs don’t have other people to shield it, they are effectively missing out. It’s not an easy feat for a one-issue party to gain a seat in federal parliament. And getting a seat doesn’t guarantee any political power, unless the Senate has no clear majority. Abbott says the party will be up against the likes of renegades Clive Palmer and Pauline Hanson (though not necessarily for the same voters) as competition for seats in the upper house and influence with the government in the next parliament. Interestingly, Abbott himself won’t be running for a Senate ticket. This is surprising, given his easy charisma and oratory skills. He says he is more interested in leading the party, making sure he can attract strong candidates to run and guiding the party’s political aims. That and, oh, he has a start-up business to run, helping advisers and trustees with their SMSFs, via his new business, I Love SMSF. The party has a website and is looking for new members and supporters.